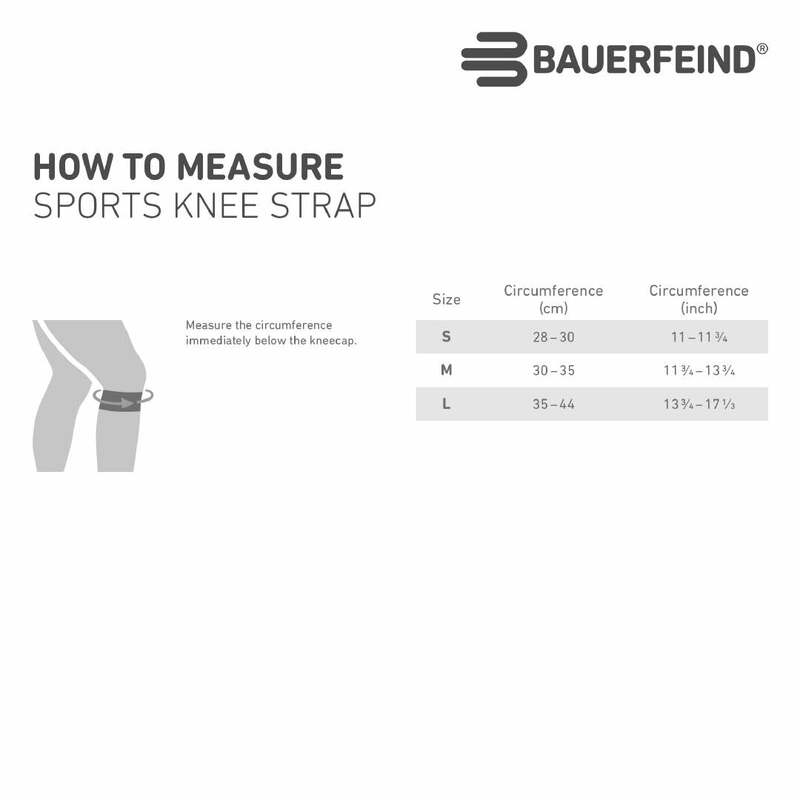 Train longer, harder and pain-free with the scientifically targeted support of the Bauerfeind Sports Knee Strap. 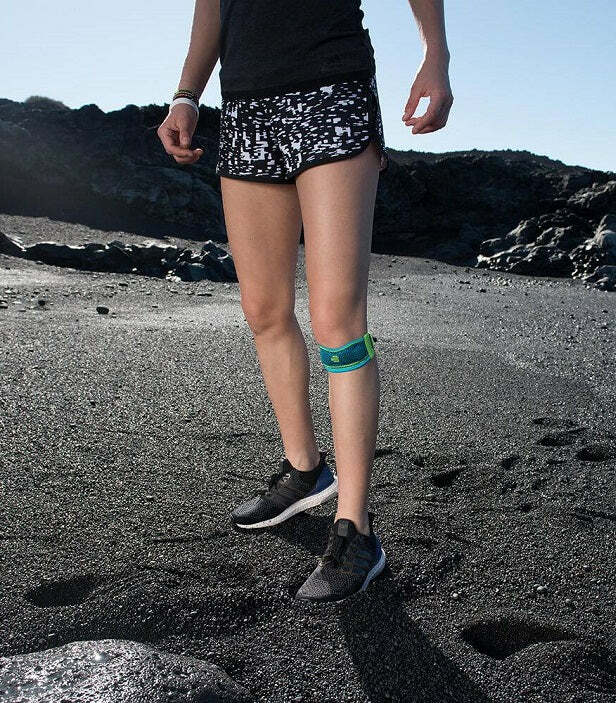 The anatomical shaped Bauerfeind Sports Knee Strap reduces stress on the patellar tendon to address overload issues and anterior knee complaints during sporting activities, especially helping activity that involves large amounts of running and jumping. A special pad with pressure points guides, supports, and stimulates the tendon to reduce the symptoms typically associated with excessive strain. ﻿Best used for the treatment of runner's knee and jumper's knee. A perfect fit means faster recovery and improved performance. 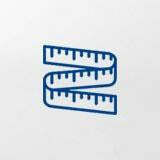 You will need to measure your knee with a measuring tape. Measure the circumference of your leg immediately below your kneecap. 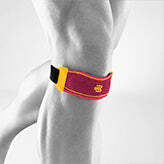 Sports knee strap should feel snug and firm but not constrictive. All Bauerfeind knee straps have a 1 year warranty and qualify for our 30 day size exchange policy.